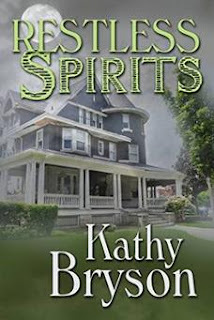 This is the first book in a series of humorous novellas set in a medical school in Atlanta, featuring Italian-American student Giovanni and his misadventures with supernatural forces. I enjoyed the quirky humor in a very realistic seeming hospital setting. The humor is light and at times dry, and it keeps the same tone through all the surprising events. 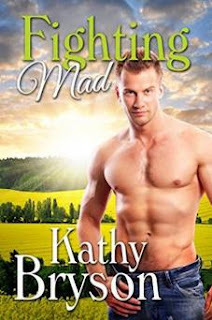 The author also has a trio of contemporary romance books (award-winning) out that have the same light humor and paranormal fun. This is book one in the series. Giovanni is a sympathetic character, a young man who is struggling to forge a new path in his life away from his family in New Jersey. The story moves along smoothly, with unexpected twists and turns, all with poor Giovanni struggling to be a decent, caring human being, and a medical professional under very trying circumstances. I really felt for the guy! He's a decent man in a very odd situation trying to do the best for his patient, no matter how weird the situation. You could call this a horror story, but I like to think of it as a Twilight Zone story, with believable people experiencing very odd things. The humane ending is touching, and fits well with the underlying decency throughout the story. Very entertaining! Everyone knows zombies aren’t real, no matter how fun. You don’t have to be a med student to know the dead do not get up and walk around in real life. Anyone who’s buried a pet in the backyard knows the dead don’t walk. They don’t even lurch. 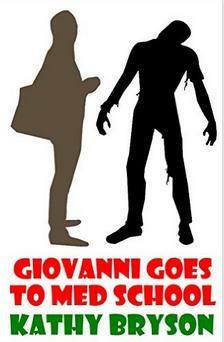 So Giovanni is stunned when his patient sits up in the morgue and starts scolding. The night-shift was supposed be a relief, a chance to study in quiet and off-set ridiculous student loans. Babysitting a huge dog and a dead voodoo mambo were not part of the plan. Now he’s got to convince an unbelieving medical community to take action, so he can get back to learning about the dead – not the undead! Please visit the author's website-blog.